Tasting Notes: The 2013 vintage will be remembered for the intense fruit flavours and elegance of its wines. The 2013 Red Paw Merlot is a perfect example of this, and reminds us why these “lighter” vintages are often underappreciated. 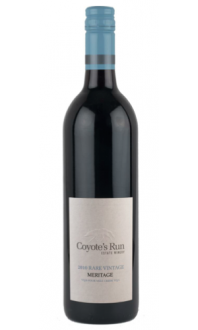 With its juicy fruit, soft tannins, delicate structure and lengthy finish, this wine is very pleasing on the palate, and it makes a wonderful wine for sipping on its own. Pairing Notes: This wine will work best with lighter fare from the grill, such as salmon, pork medallions or rotisserie chicken. This lovely Merlot would also match well with softer, creamy cheeses like Camembert or Brie. 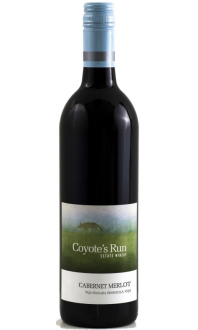 Production Notes: The wine is comprised of exclusively estate fruit, from the Red Paw Vineyard, all of which was hand-harvested for superior quality. The fruit was fermented in small lots and punched down by hand several times daily over 14 days. The wine was aged 14 months, mostly French and some American oak barrels, with 20% new oak, and bottled in Mar15.